I’m not what you might call a political activist. As I get older and hopefully wiser I can see how my earlier flirtations with political issues could be filed under ‘naive’ at best and ‘plain stupid’ at worst. When I set out on my career in care, Corrigan and Leonard’s ‘Social Work Under Captialism, a Marxist Perspective’ was the reading order of the day. Now, to get anywhere in the profession you need an MBA and a track record in buying and selling. So today’s demonstration by teachers and other public sector workers should not have had the effect on me that it would undoubtedly have had thirty years ago. But I have to admit a frisson of solidarity with those on strike, not so much for any political agenda they have, but rather for the fact that low paid public sector workers are being made to pay for the greedy antics of the spivs, rogues and degenerate bankers (another word that rhymes would also suit) who have messed up the UK economy. There is indeed a debate to be had on the merits of some public sector jobs in the present economic climate; but to let the *ankers pursue a life of greed while those who serve us are left to work themselves to an early grave is a national disgrace. So today, I’m with the strikers and may the *ankers look down at the demonstration in London from their glass tower blocks and hold their heads in shame. How much more can go wrong for the poor residents of Southern Cross? The once mighty care home provider is grovelling to its landlords and our government both of whom are willing to keep the homes afloat despite horrendous losses and poor standards of care. I’m not so naive as to expect that murky venture capitalists and company directors of care companies are in the provision of care to, er, provide care. But come on folks, even in today’s materialistic age, one might expect a bit less of blokes in £2000 suits milking the cow while the residents are left with the bull. Cross purposes? Making money and providing care. Actually there is a model that works very well. Would you believe that there exists a raft of charities and not-for-profit organisations, along with small private providers who run excellent care homes? There is nothing wrong with making a profit from running a good care home, but there is everything wrong with making a killing from running a raft of poor care homes. 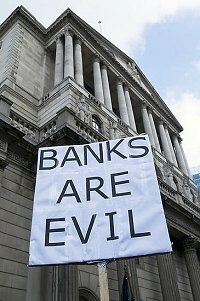 I’m getting a tad tired with sounding off on crucial institutions being bailed out by the government; from banks to train operators to care homes, the public are badly served. Never mind all the stuff about buy-back-lease-back-bags-of-money-back which has put Southern Cross in the news; the one item that should have had everyone involved in care banging on the doors of the company’s directors is detailed in this Guardian article. My business brain might not be at the level of a venture capitalist but I’ll bet my bottom dollar that the spivs who made millions out of Southern Cross were not too concerned about 28 per cent of its homes being sub-standard. Difficult viewing last night of the Panorama expose of brutality and abuse of patients at Winterbourne View residential unit run by Castlebeck, (watch it on iPlayer). The psychologist brought in by the BBC to give an expert opinion was spot on in describing the treatment of vulnerable adults with learning disabilities as ‘torture’. The systematic abuse filmed by the BBC undercover reporter would have been out of place in a prison, never mind a £3.5k a-week-per-resident facility. In fact, had it happened in a prison, the torture would have been stopped in its tracks. That it wasn’t, even when a brave whistleblower nurse exposed the institutional (sic) brutality, every level of management in Castlebeck ignored it. We’ve been down this rocky road before and unless there are drastic changes to provision, the inspection system and accountability, it will happen again and again. Former Health Minister Stephen Dorrell was correct in saying on radio today that it’s not because the system is privatised that abuse like this happens, there was no shortage of abuse when local authorities and the NHS ran hostels and long-stay ‘subnormality’ hospitals as families of former residents of St Lawrence’s in Surrey, closed long ago, would testify. 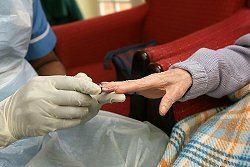 However, the very nature of private provision means that companies are motivated by profit before people, which is why, of course, Castlebeck employed tattooed thugs on minimum wages rather than appropriate carers at £10 an hour to provide intimate care for the most vulnerable members of our society. www.castlebeck.com suggests to me that just as they have been mugging local authorities of £3.5k a week while abusing the residents, so the media training and crisis management companies have been mugging them. But you know what; this confederacy of dunces that left the most vulnerable people in our society to have their eyes gouged, to be thrown into a shower dressed, to be insulted, to be left to the baying dogs on £6.40 an hour are but bit players. The most culpable of all the cretins that enabled the degradation to take place are the local authorities who purchased the service. Consider this: If you paid £3.5k for a holiday where instead of being looked after, you were tortured for a week, might you just enquire as to why you were not getting value for your money (and in this case it’s worse because it’s our money). Might you just want evidence that the £3.5k a week is being used in a way that helps the service user get the most from his or her life? Might you just send the referring social worker round say every two months instead of every year? Might you just enquire from the providing company if there have been any internal complaints by staff? Might you just send a senior manager round every so often, unannounced, to see what is going on? Leaving the abuse to one side for a moment, might you just not think that residents sitting around all day doing nothing is not exactly getting £3.5k a week value for money? Might you just consider that a smaller unit of say four or five residents in a home with brilliant, creative care at £1k a week less is a better way of spending council tax payers’ money (I know of such a unit). Might you consider going to providers from the charity and not for profit sectors who are not motivated by greed? Might you just sit in front of the TV last night think, ‘it was we who failed these people’? It’s good that the government have acted swiftly and are cracking down on CQC to get a grip. But lets put it as it is. The people who buy care from the so-called providers like Castlebeck are no different from the thugs who administer the regime of torture and the executives who live a five-star lifestyle from the proceeds.